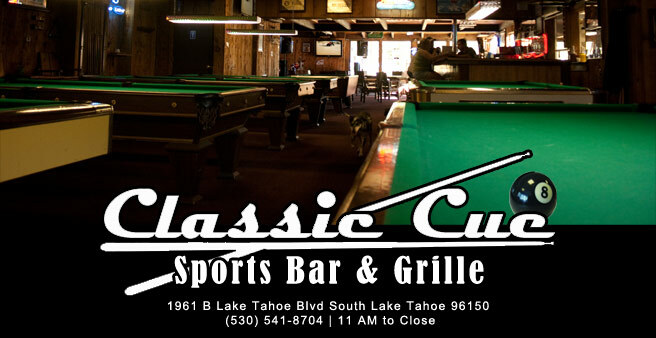 The notable Classic Cue has been reinvented by its owners, Ricki and Billy Rozga, to cater to locals, visitors, families and friends alike. The bar offers multiple billiards tables, as well as foosball, air hockey, darts and arcade games. There are also multiple screens for premium sports viewing. If you're a San Francisco Giants fan, be sure to pay tribute to the Giants wall mural! You can come in anytime and expect one of their daily specials and/or activities to be going on. Mondays are a popular day at the Cue as they offer $1.50 fish or chicken tacos from 11am until 10pm, and $1.50 Miller High Lifes from 11am until close. Come try what many say are the best fish tacos in town! Tuesdays hosts their weekly eight-ball pool tournament and Thursdays open mic night. Karaoke is on Wednesdays and Fridays, come participate or prepare to be entertained!